AFFORDABLE: Teluk Kumbar / Montrico Development Sdn. Bhd. A proposed affordable housing by Montrico Development Sdn. Bhd. at Teluk Kumbar. 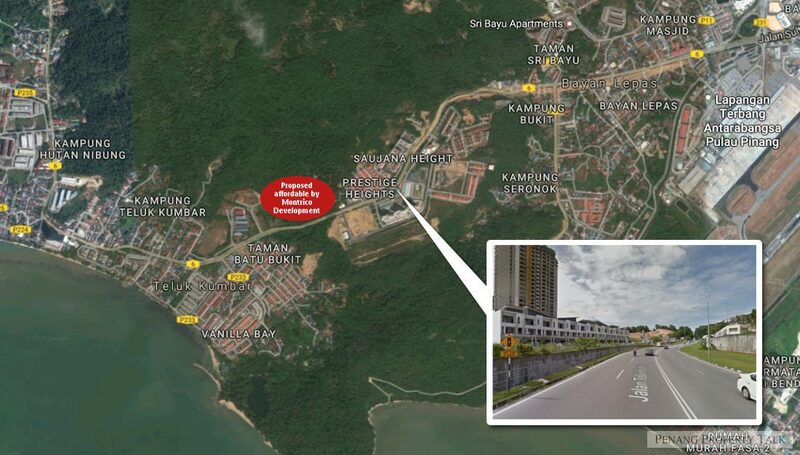 It is strategically located a long Jalan Teluk Kumbar, less than 3km from Penang International Airport. Neighboring communities include but not limited to Prestige Heights, Platinum III, Teluk Kumbar Heights and Sunway Aspera. This project is still pending for approval. More details to be available upon official launch. Built-up Size: 650 sq.ft. & 900 sq.ft. Developer : Montrico Development Sdn. Bhd. May i have the detail? Please provide me more details. PLEASE PM me for more detail. I would like to know more details for this project pls pm me soon. Do u hv any mock unit ? im interested.pls pm me details.